FATALE #3, the latest issue of the horror noir comic by Ed Brubaker and Sean Phillips, sold out a week before its in-store date of March 14. This marks the third issue in a row of the Image series to sell out, making it the best-selling of Brubaker’s and Phillips’ collaborations to date. A second printing has already been scheduled and it will be in stores on April 4, the same day as FATALE #4. 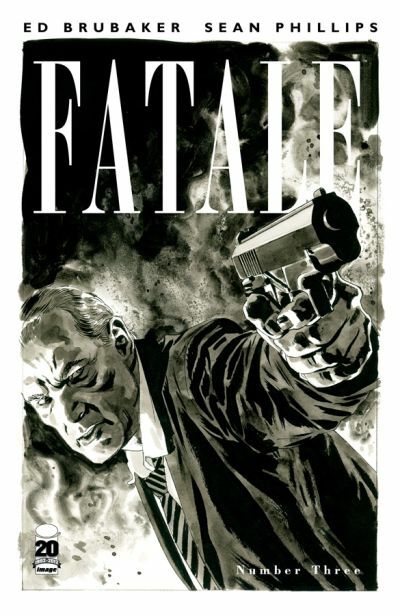 Initial orders for FATALE #3 increased from those of FATALE #2, but it still was not enough to meet demand for the issue, continuing the trend for the series. FATALE #1 has already gone into a fourth printing and FATALE #2 has reached three printings. Centering on a beautiful, mysterious - and dangerous - woman named Jo who has ruined every man who has crossed her path, FATALE holds hints of supernatural horror and more than a touch of evil. FATALE is a full-color comic book series available in comic book stores and multiple digital platforms. Each issue has 24 pages of ad-free story, plus essays on horror and noir fiction by Jess Nevins and Charles Kelly that will not be reprinted in collections.